The Salomon Beluha wp provides a protective rubber rim and a rubber toe cap, and should raise the heat a perfect winter shoe and it has 20% more grip than an ordinary winter footwear. The upper is made of nubuck leather. It is a waterproof shoe was thanks to the Climatherm a cold to -25 ° holds. The insoles and midsoles made of cut EVA and thus correct quality. 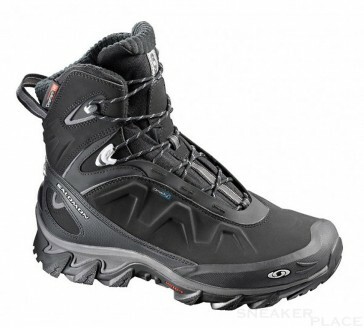 Salomon brand shoes should have a larger number ordered, because they would be smaller. If you have problems with choosing the right size, please send us an e-mail!